The trip brought together nearly two dozen 2018 Global Food Initiative Fellows, all of whom are working on projects that advance the mission of the UC-wide Global Food Initiative. This strategic initiative was started in 2014 by UC President Janet Napolitano to align the university's research to develop and export solutions — throughout California, the United States and the world — for food security, health and sustainability. The initiative funds student-generated research, related projects or internships that focus on food issues. All 10 UC campuses, plus UC Agriculture and Natural Resources (UC ANR) and Lawrence Berkeley National Laboratory, participate in the program. 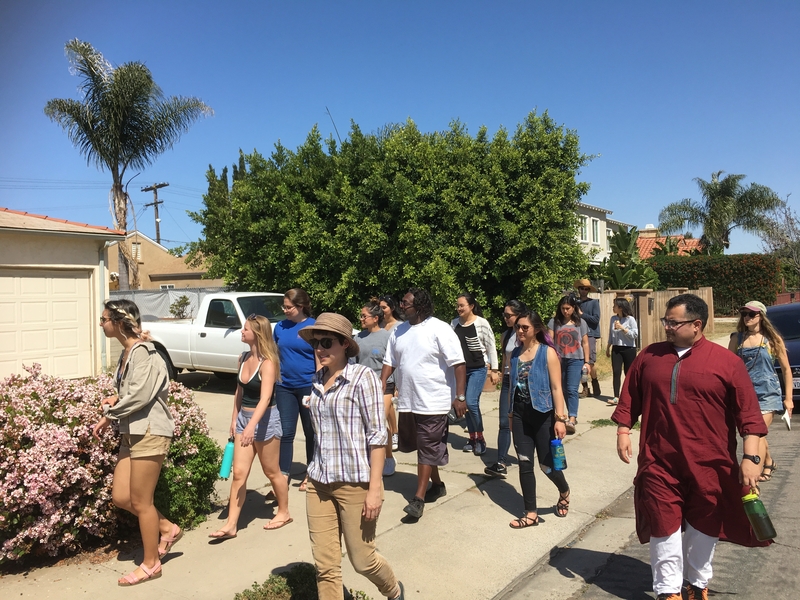 “We need to start thinking of the interconnectedness of our research, and begin to implement place-based solutions that take into account the environment, food-security, and sustainability,” said UC San Diego professor Keith Pezzoli as he welcomed the GFI fellows. 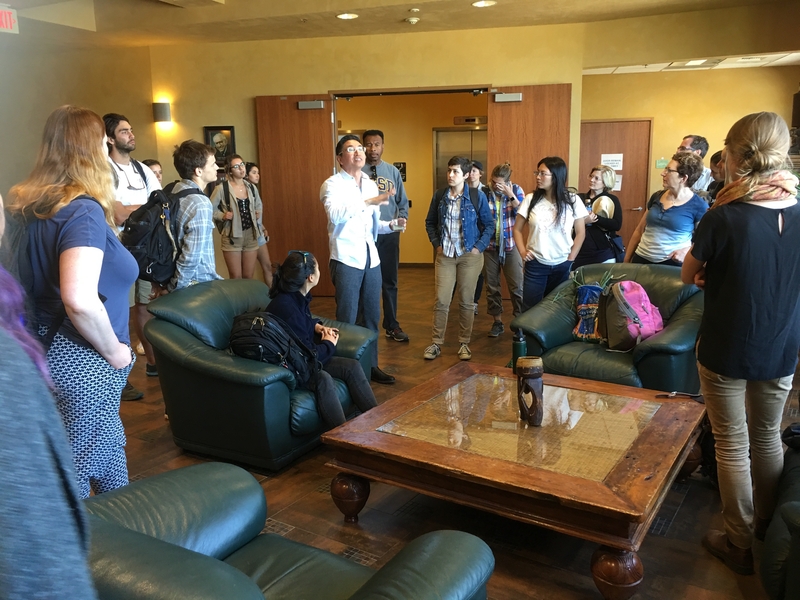 Pezzoli, who leads the UC San Diego Bioregional Center for Sustainability Science, Planning and Design, hosted the GFI fellows for the weekend. Pezzoli and his team led the fellows to multiple campus and community-based projects that are implementing collaborative, innovative solutions that advance food security, environmental sustainability and economic prosperity. GFI fellows were tasked to think of their projects critically and use the trip to gather ideas and inspiration for their own projects and in their work as future food leaders. 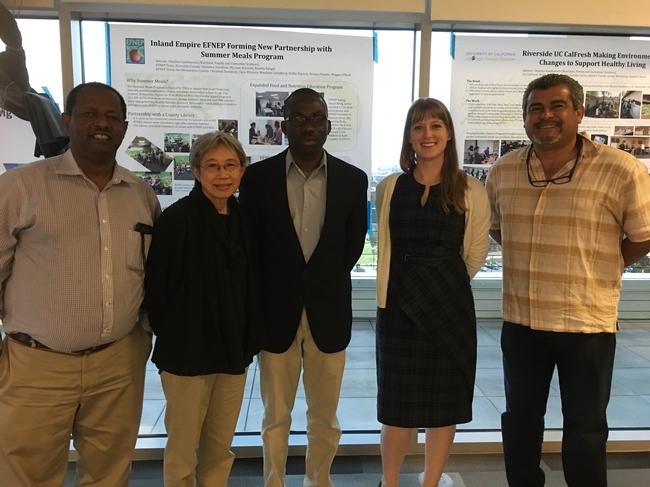 This year's GFI Fellows are working on projects that range from addressing food security and basic needs on UC campuses, to capturing the culture of eating through film, and from efforts to connect water salinity to crop yield, to creating energy-generating agricultural covers. Working in Ellie’s Garden teaches gardening and sustainability practices to UCSD students, who grow food and herbs while composting food waste from on-campus restaurants, creating a sustainable, closed-loop campus-based food system. The trip started with tours of UCSD-based projects that implement research and student and civic engagement to create closed-loop food systems and create opportunities for innovation. 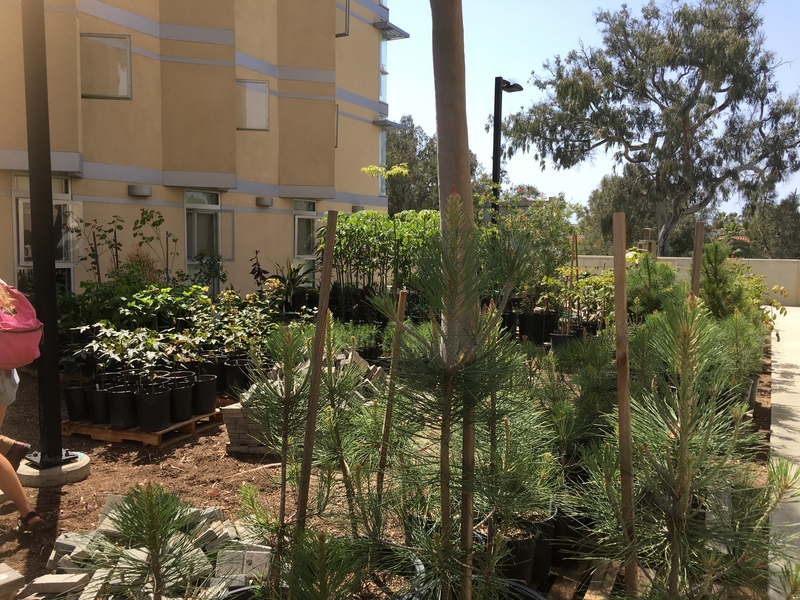 Ellie's Garden, located in between UCSD campus dormitories, exemplifies sustainable gardening practices. The garden, which composts food waste from on-campus restaurants, was established to utilize the space in between dormitories in a more efficient way. “By using food waste from campus restaurants to create compost that then helps develop fresh food for students, this garden is taking the food system into the entire campus. With this example, we're really walking the talk on campus,” Pezzoli said. 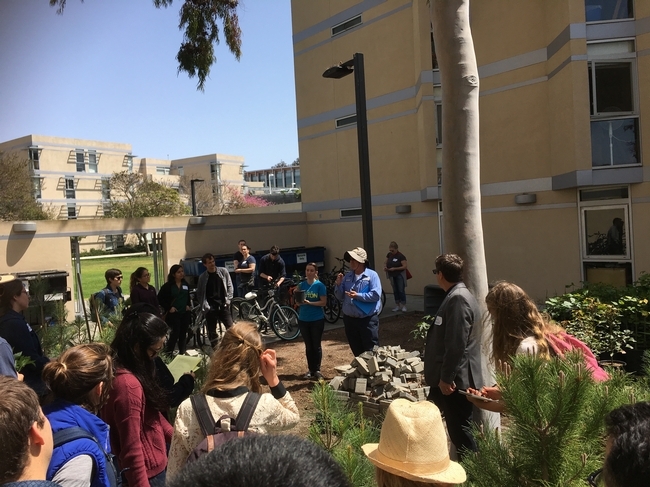 Ellie’s Garden fosters leadership in UCSD students, who serve as chairs of the garden and educate their peers on gardening and sustainability. 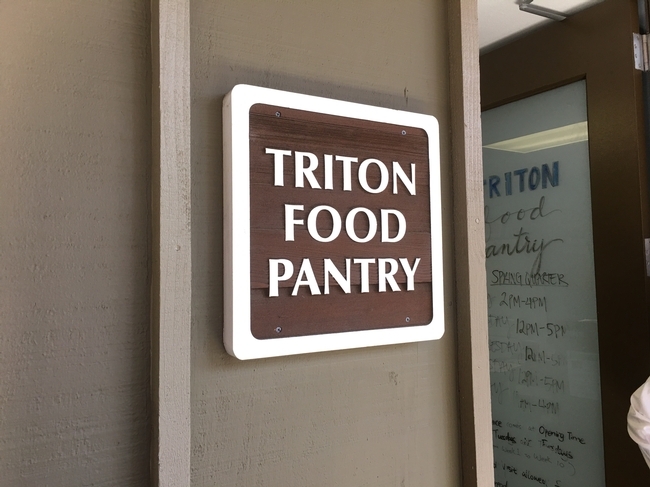 The GFI fellows then visited the Triton Food Pantry, which was established in 2015 following the launch of the Global Food Initiative. 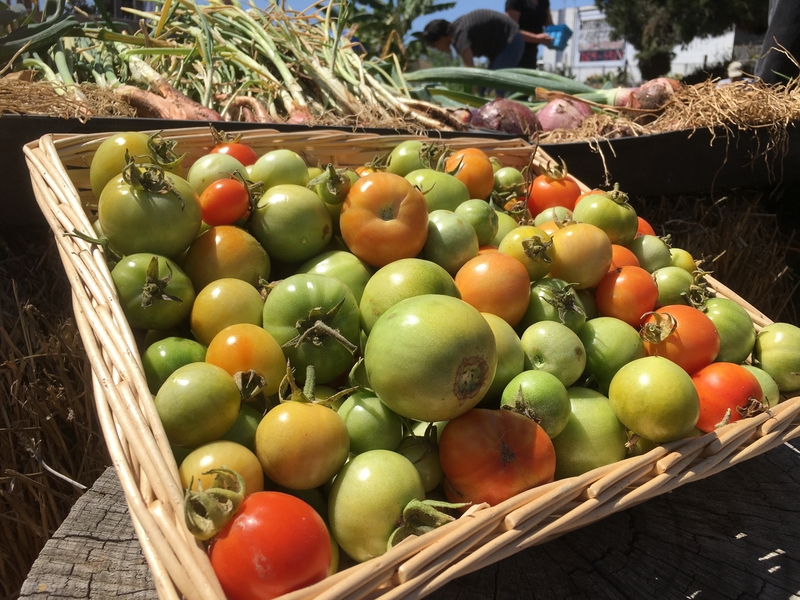 The pantry provides UCSD students with greater access to healthy foods, including grains, proteins, and fresh fruits and vegetables. The pantry also helps to enroll students into CalFresh, a federally funded program (formerly known as "food stamps") that provides cash aid to low-income individuals who need food assistance. On average, Triton Food Pantry serves 600 students per week. In the 2016-2017 academic year, 10,000 student visits were logged overall. 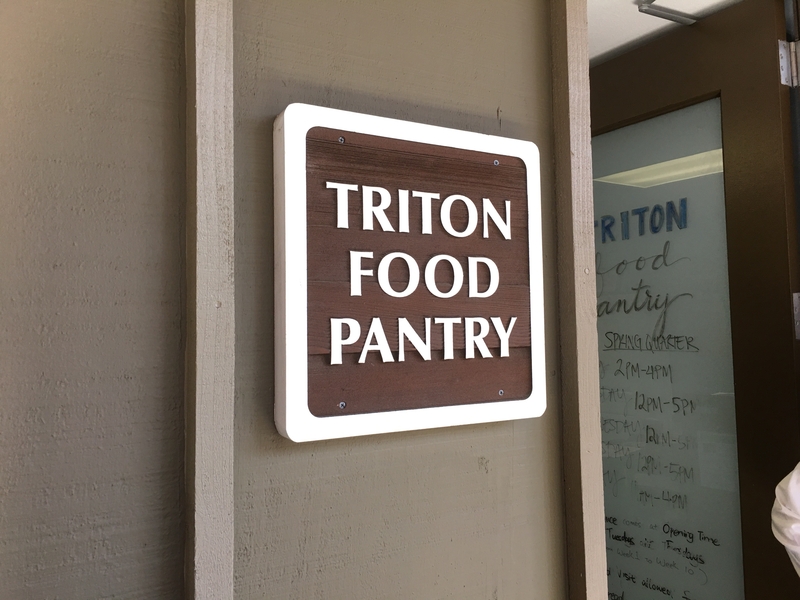 Triton Food Pantry was started in 2015 with funding from the Global Food Initiative. The pantry serves 600 UCSD students on average every week, and served a total of 10,000 student visits in academic year 2016-2017. 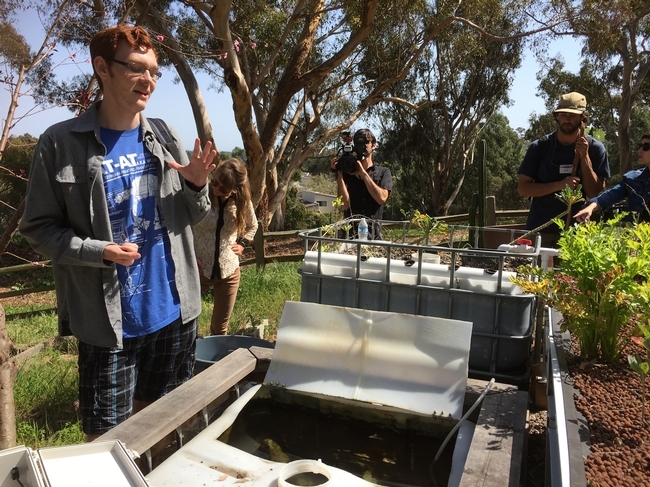 A UCSD student discussed a closed-circuit aquaponic system created at Roger’s Garden. 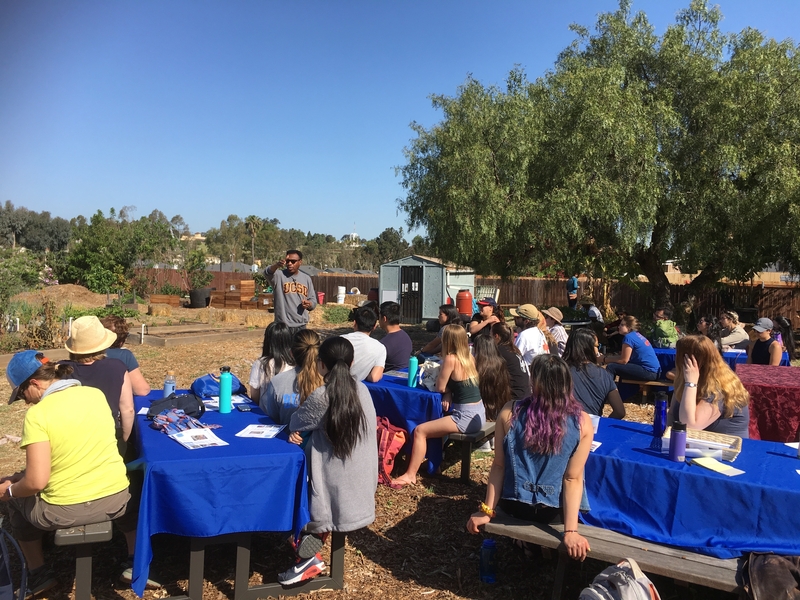 Multiple UCSD students as well as GFI fellows conduct research projects in the garden with the goal of replicating and scaling to gardens outside of UCSD and in the community. Fellows then headed to Roger's Community Garden, a student-run garden that offers land to students, staff, faculty and alumni to grow herbs, flowers, fruits and vegetables and conduct student-led research. 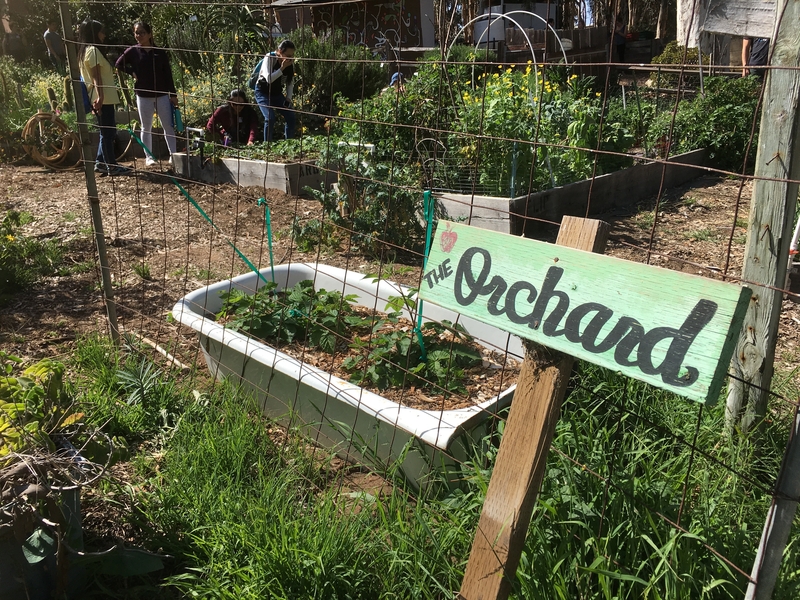 With projects ranging from hydroponics, aeroponics, and anaerobic digestion, the UCSD students who work in the garden come from different majors and different backgrounds, but are united in their love for food and gardening. 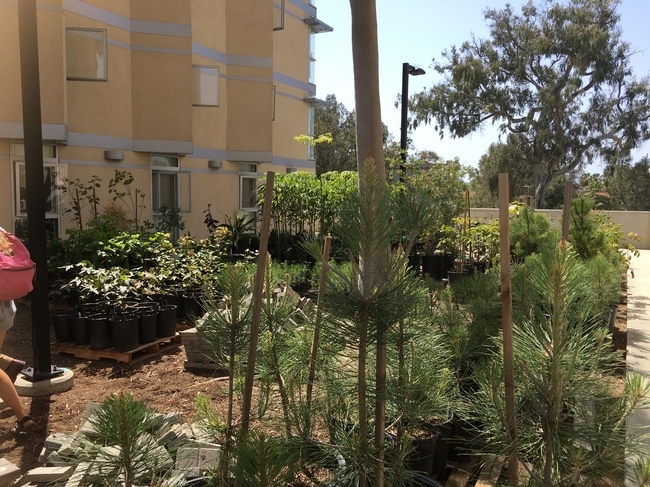 “The garden allows us to take scientific innovation and reduce it down to something that is scalable and easy,” said a UCSD student involved in Roger's Garden. 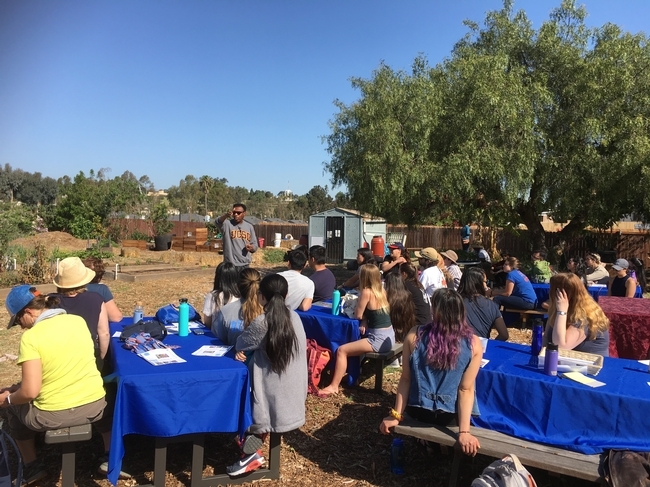 GFI fellows visited Roger’s Community Garden, a UCSD-based garden that offers land to students, staff, faculty and alumni to grow herbs, flowers, fruits and vegetables and conduct student-led research. The first day of the trip ended with a presentation by and dinner with advisors from UC's Agricultural and Natural Resources. Ramiro E. Lobo, small farm and agricultural economics advisor for UC Cooperative Extension in San Diego County, gave the GFI fellows basic information about the farming landscape in San Diego County and introduced the five UC ANR Strategic Initiatives. 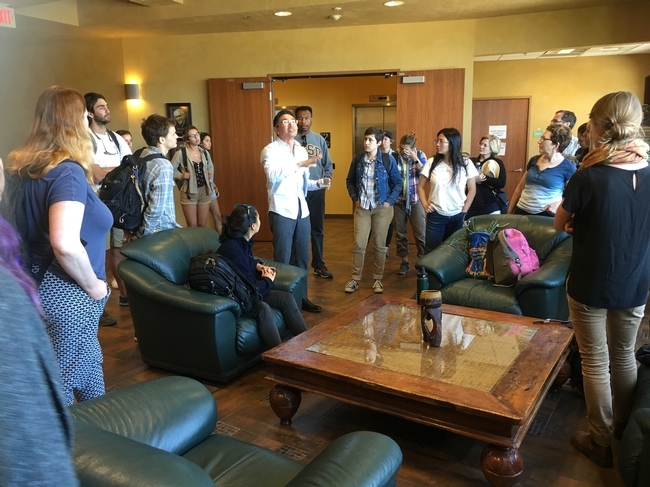 Lobo, who specializes in agricultural economics and marketing, talked about the challenges of farming in San Diego and the future of agricultural economics. In order to combat these issues and drive sales, Ramiro helps farmers market their products and share their stories. Fellows then enjoyed dinner with ANR advisors from throughout Southern California and discussed student-led topics related to food security, water quality, federal food programs and research ethics. With areas of work ranging from water quality to crop science, and from federal food programs to agricultural tourism, conversations were rich and varied as ANR advisors answered students' questions and shared their expertise. “It was so interesting to hear the ANR advisors' perspectives on their particular issues. Also, I was really inspired by the wide range of expertise and backgrounds present among the advisors. Each one brings their own unique perspective to the work, and I enjoyed learning how each of their focus areas connected,” said GFI Fellow Mackenzie Feldman, an undergraduate student at UC Berkeley. The second day of the trip kicked off with a tour of the Ocean View Growing Grounds (OVGG), a project of the Global Action Research Center that operates on a 20,000-square-foot property in southeastern San Diego. In partnership with UC San Diego and the Global Food Initiative, the OVGG has established a community garden, two food forests and a Learning/Action Research Center developed with local neighborhood residents. The OVGG also hosts the Neighborhood Food Network, a group of residents interested in growing and distributing food. 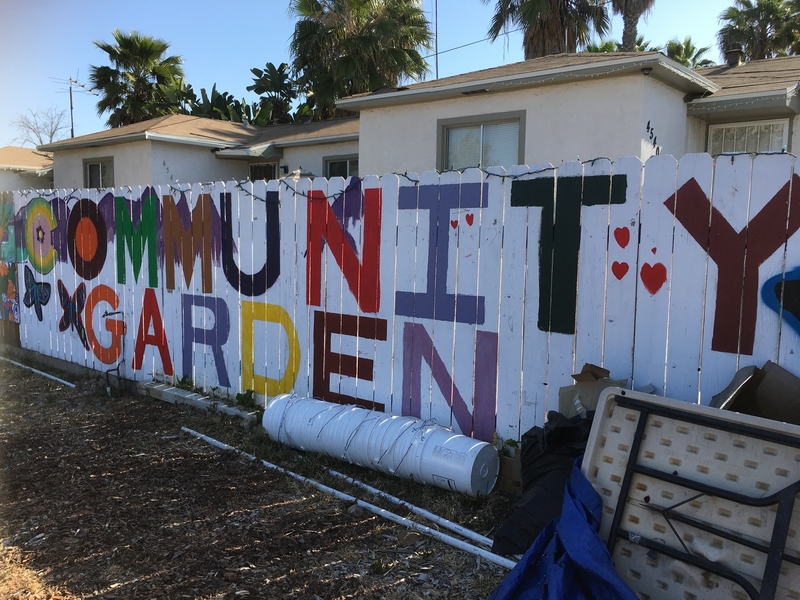 Through this network, San Diego residents build dynamic neighborhood hubs that revolve around increasing access to fresh fruits and vegetables. Paul Watson, President and CEO of the Global Action Research Center, introduces the Ocean View Growing Gardens to GFI fellows. “Not only do we apply the latest environmental research through our partnership with UCSD, but we’ve worked closely with community leaders and learned how to use food as a organizing tool in this neighborhood,” Watson said. Fellows then enjoyed lunch with Kitchens for Good, a nonprofit catering service that aims to break the cycles of food waste, poverty and hunger through innovative programs in workforce training, healthy food production and social enterprise. Kitchens for Good is located within the Jacobs Center for Neighborhood Innovation, a “creative catalyst and incubator” that partners with residents, local leaders and organizations, as well as regional and national investors, to revitalize southeastern San Diego, a culturally diverse yet under-served area that is prime for investment and transformation. “We don't just want to teach residents how to fish, we want to teach residents how to buy the lake that the fish swim in,” said Bennett Peji, Jacobs Center's senior director of marketing and community affairs. Since its inception, the organization has revitalized a nearby creek, built a metro station with the second-highest amount of traffic in the county, constructed a low-income apartment complex and built a shopping mall that includes the first full-service grocery store in the community. In a community where the high school has a 50 percent dropout rate, the Jacobs Center has had a transformational impact. Bennett Peji of the Jacobs Center (left of center in white shirt) discuss economic justice with GFI fellows. “Our role is to convene partners, create models that work and see how nonprofits can better serve the community,” Peji said.